I have a file called bios.bin which is the firmware of an ATM machine and I have found out it is x86 code 16-bit. But I don't understand how I'm supposed to set the base address in IDA Pro for an x86 processor. 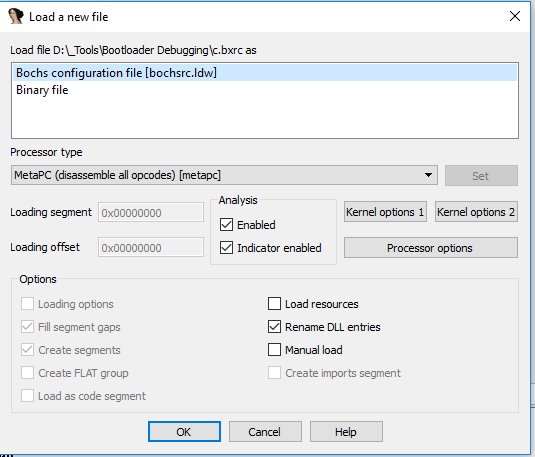 You may use BOCHS x86 to emulate the 16 bit image and debug it using IDA pro. 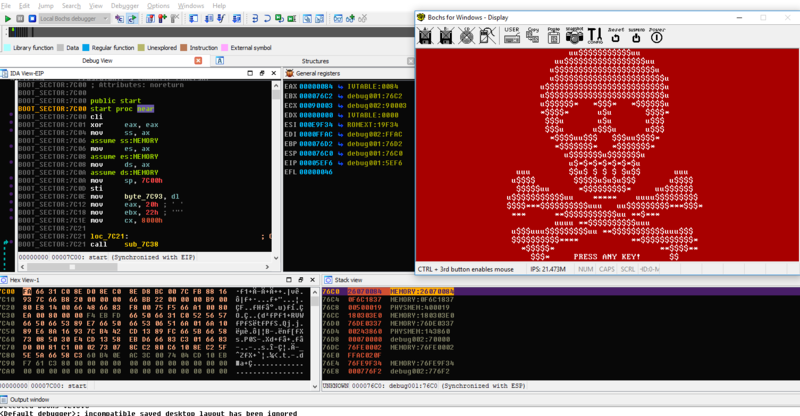 This is an example of bootloader of PETYA ransomware. Not the answer you're looking for? Browse other questions tagged ida firmware or ask your own question. How does IDA pro generate function names? loading memory dump into ida pro?